THE TOON UNVEIL THEIR NEW KIT FOR THE LIVERPOOL GAME! 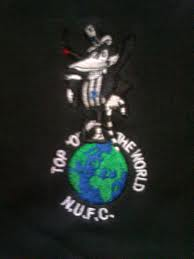 News that Luis Suarez iz banned from aall futbaall for fower months makes worryin' readin' for Toon players! For hiz Premyaa Leegue comeback for 'The Liverbirds' after hiz record ban for 'havin an Italian', iz against (would yoo believe it!?) US! 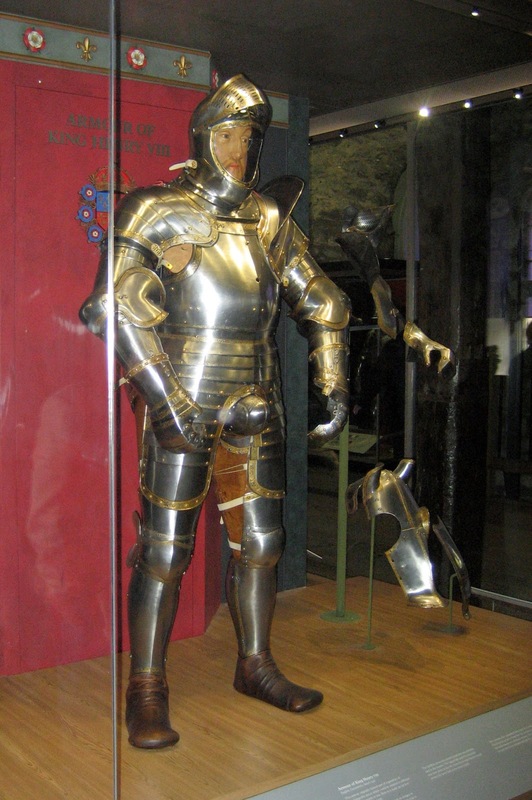 The panic stricken NUFC hierarchy have aalready contacted 'The Keep' at the 'new' castle (below) to see if they can borrow any 'bite proof' armour on display, for the game @ St James' on the forst of November! TOON ON TELLY! *** "ZZZZZZZzzzzzzz!!!!!!!" "NIGHT GOGGLES AT THE READY!" The good news iz that The Toon's two games in New Zealand are to be shown on telly by BT Sport! The bad news however iz that the forst one iz at '8:30 AM bells' on Tuesday 22nd July against Sydney and the second one iz even worse az it kicks off at '4:30 AM bells' on Saturday 26th July! "Black coffee and night goggles at the ready!" ***"ZZZZZZZzzzzzzz!!!!!!!" 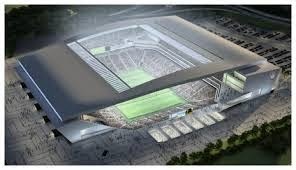 PS: news reaches us that wor two games in Jawmany on the 2nd and 3rd of August are aalso to be shown live by the Jawman tv channel 'Sports 1 TV' <(ne news yet of any UK broadcaster takin' these games!? We asked yoo: " Which position in the top ten list are we!?" NUFC ARE IN 4th POSITION IN THE AALL TIME LIST! We aalso asked yoo: "To guess just how many fans had been through the St James' park tornestiles since we joined the leegue 121 years ago in 1893!?" Question: In the aall time top ten Futbaall Leegue/ Premyaa Leegue list, where do NUFC stand in the aggregate attendance leegue? Aalso wot are wor aggregate aall time Leegue attendances since we joined the Futbaall Leegue in 1893? The answers will appear here tomorrow sometime! "WATCH THIS SPACE TO FIND OOT IF YOO ARE REET!" NUFC FIXTURES 2014-2015 *** "BLUE MOON IN TOON!" The Premyaa Leegue fix are oot for the new season and wor forst game like last season iz against champs 'The Blue Moonies' of Mancland! 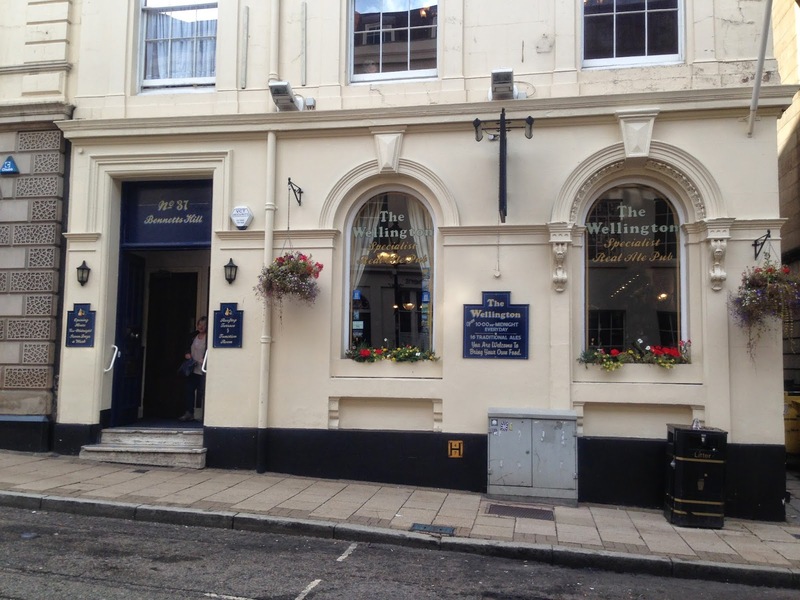 Then we must travel to Bormingham a week later to face 'The Hazbeenz & Villians' and sample the delights of 'The Geordie Times away pub of the year', which iz 'The Wellington' not far from New Street Train Station! The Crystal Balls then complete wor August fixtures when they visit St James' at the end of the month! Wor langest two away trips will take place in September and October when we vist Sooothampton and Swanzee respectiveleee! New Years Days see's us at home to newly promoted Bornley, while wor retorn against the SMBs takes place at the start of April. We end the season with a home game against 'The Jellied Eels Mob' on Sunday May 24th! Ne doubt that there will be a canny few of them changed for live telly etc! Tue 10th *** The Crystal Balls @ Selhurst Park @ '7:45 or 8 bells'? "I BEG YOUR PARDEW!?" *** "I KNOW NOTHING!" "WHY DID 'THE TOON' UNDER PERFORM LAST SEASON!?" 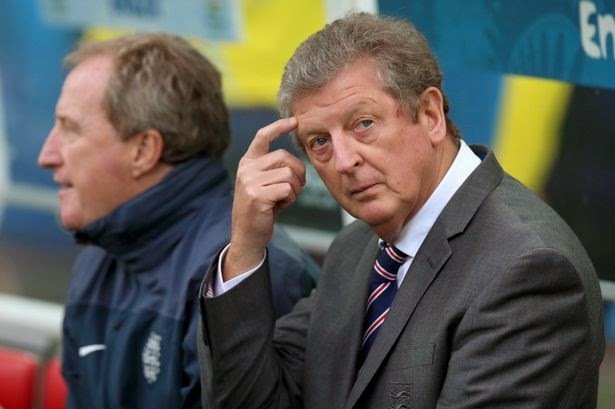 "THE WORLD CUP'S TO BLAME!---I KNOW NOTHING!" Wor manager haz been spoutin' off again aboot wor poor finish to the 2nd half of last season. 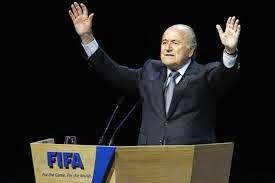 Accordin' to him the reason waz!-----"Players in contention for World Cup duty were distracted from the 'league scene' and under performed because of this!" We have a grand total of just FOWER (4) players on World Cup duty by the way! Namely---Tim Krul for Holland, Cheik Tiote for the Ivory Coast and Mathieu Debuchy and 'The Sissoko Kid' for France! Honestly the excuses comin from hiz gob get weirder and weirder! 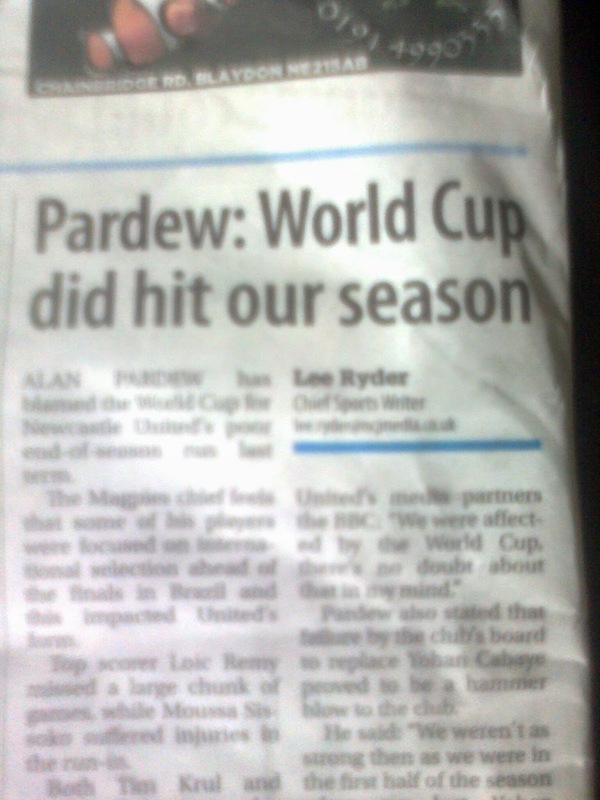 The season before last we "under performed" because we had a load of European games to contend with and now it's the World Cup to blame! Az there are ne International competitions next summer and NUFC arnt in Europe, wot excuse will he come up with NEXT summer??? Greg Dyke---lest we forget?--- is CHAIRMAN of the FA! Which begs the question---if he openly admits that he is a "non football person", then wot the hells he dein there in the forst place!??? "ING-ER-LAND EXPECTED! *** AND GOT EXACTLY WOT WAZ EXPECTED!!!" "I WISH MY INDEX FINGER WAS A GUN!" Last Saturday before Ing-er-land's forst game in the World Cup 'The Geordie Times' told yoo that they had az much chance of winnin the World Cup az 'The Toon' had of winnin the Premyaa Leegue! This prediction came back to 'bite em' last neet az they imploded against Uruguay, az a Luis Suarez 'double' 'chewed' Ing-er-land up' (sic!) and consigned them to a 2nd defeat and aalmost certain elimination from the tournament after less than FIVE DAYS! 'Luckily'? for me aa anly had to listen to Chris Waddle's 'mackem twaddle' and Alan Green's 'rants' on the radio az aa drove doon to Bormingham in mee truck and didn't have to watch this garbage on the telly, az 20 million other 'sufferers' did, throughoot the nation! Ing-er-land's 2nd game of The World Cup against Uruguay teks place at '8 bells' toneet in Sao Paulo, with expectations at an aall time low after defeat against 'The I-ties' in the 1st game! We reely divint naa just wot will happen, but I will be glued to 'Taalk Sport' on mee truck radio on the M1,M6,M5 (or whatever!) az a drive doon to the Bormingham area once again toneet! "ING-ER-LAND EXPECTS!---BUT WOT WILL WE GET!???" "OH NO!" *** "FIXTURE CONTROVORSY *** AALREADY!" The fixtures for the new season anly came oot yesterday and AALREADY there iz controvosy ower wor home game against 'The SMBs' on the day after 'Black Eye Friday' on December 20th! Ne sooner had the ink dried on the fixture list then 'The Dibble' have decreed that this game will NOT take place at this time or date! It's even made front page headlines in 'The Ronny Gill' and we naa for certain that it indeed WILL be moved, live telly or not! This haz got us thinkin' at 'The Geordie Times'??? Just how many of wor games WILL be moved throughout the season??? 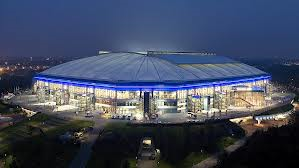 For example: We think that wor forst game against 'The Blue Moonies' WILL be moved. Wor 2nd game away to The Hazbeenz & Villians we think will stay at it's original date and kick off time. 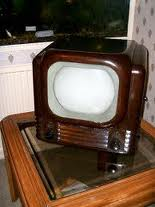 The 1st roond of TV schedulin' isn't due to be published til July and we will make wor predictions before then! The question on everybody's lips <(or at least wors, anyway!) iz will we 'score' more goals than we concede by the end of the season??? Watch this space carefully to find oot! NUFC PREMYAA LEEGUE FIX OOT TOMORROW! Tomorrow iz a big day in 'The Geordie Times calender' az the Premyaa Leegue fixtures for the forthcomin' season are released. "Watch this space! ---Watch this space!" 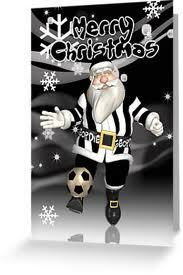 NUFC *** PRE SEASON FIXTURES 2014-2015 *** LATEST NEWS! "IZ THAT AN INDOOR SHOPPIN CENTRE!?" Sat 16th Aug *** Premyaa Leegue season kicks off! The excitin' news iz that 'The Geordie Times' will have reporters at EVERY forst team game includin' Jawmany and New Zealand! 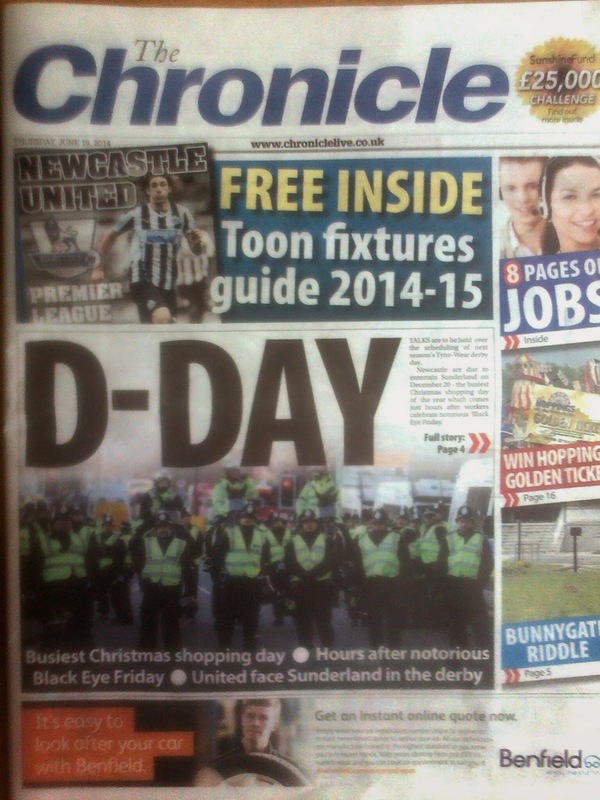 THE GEORDIE TIMES GETS IT WRANG AGAIN! 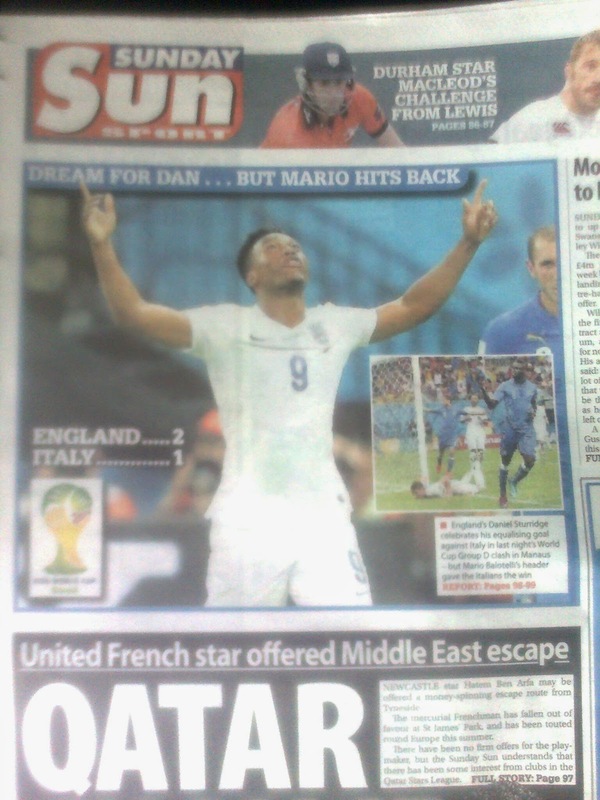 Just bought the Sundih Sun and to my horror we got it wrang again! 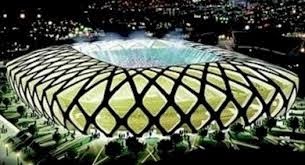 Ing-er-land will now surely WIN the World Cup! ING-ER-LAND 1 THE 'I-TIES' 2 *** THE BIG SLEEP! *** "ZZZZZZZZZZzzzzzzzzzz!!!!!" Az predicted aa fell asleep in from of mee 'state of the art' wide screen telly ^(see above! )^ deep into the forst half, when the scores were level at 1-1! Ing-er-land played better than wot aa thought they would up til then, but! the 'I-ties' aalways seemed to have the upper hand! The equaliser from Daniel Sturridge two mins after The 'I-ties' had scored the forst goal through Marchisio, stirred me from my slumbers, but aa waz soon fast asleep again az the 'liquid refreshment' from the days session in the Toon took it's toll! I awoke in the orly hours when the match waz finished, not knowin' the final score til this mornin' when the BBC news gave me the bad news that Balotelli had won the game for them! 'The Big Sleep' continues on Thorsday neet when we take on Uruguay!---aa cannit wait! "ZZZZZZZzzzzzzz!!!!!!!" 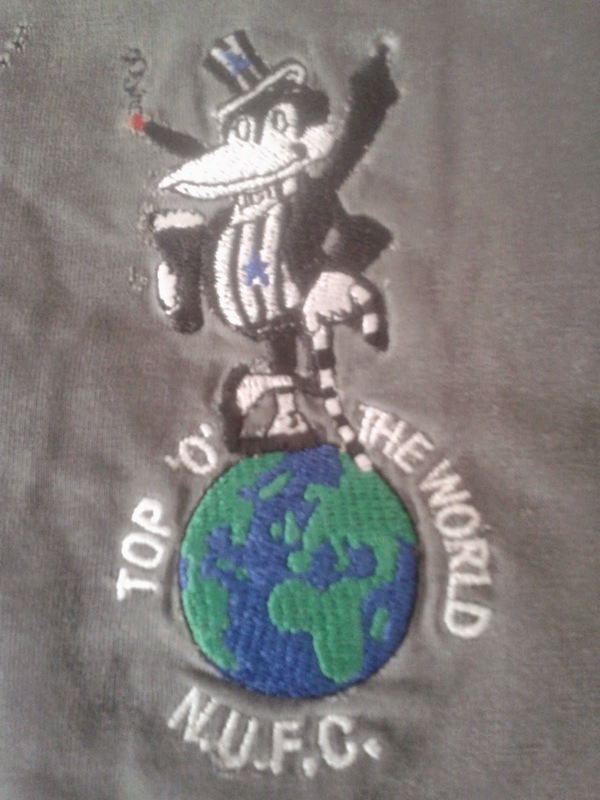 Reeely, they have az much chance of winnin' the World Cup az 'The Toon' have of winnin' the Premyaa Leegue next season! We wish them well of course and we hope we are completleee wrang!----BUT!!!----"ZZZZZZzzzzzz!!!!" GEORDIE TIMES AWAY PUB(S) OF THE YEAR 2013-2014 WINNERS! 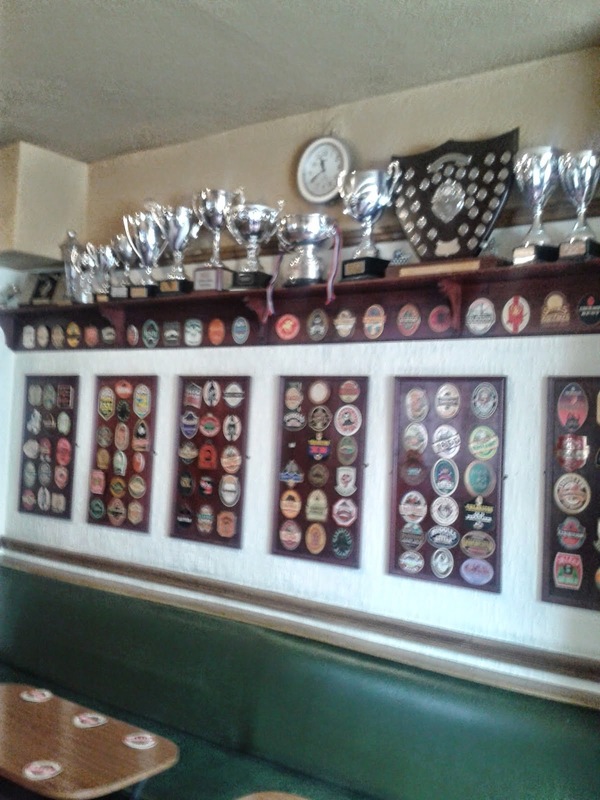 'THE GEORDIE TIMES' REEEL ALE PUB OF THE YEAR *** BUT WHERE IZ IT? Here's the moment yiv aall been waitin' for!---'The Geordie Times' away 'reeel ale Pub' and 'best dive bar' awards for season 2013-2014! 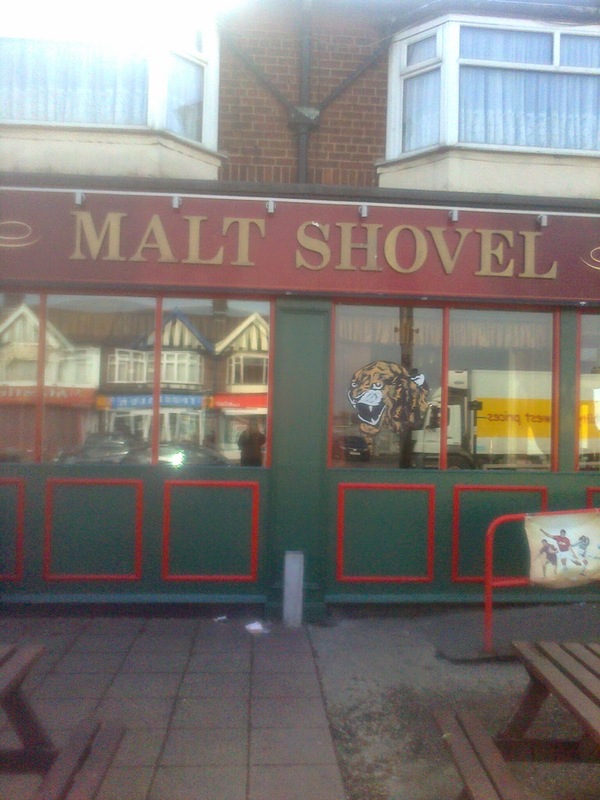 A great little boozer on the main road to the groond, again aboot a 20 minute waalk to the groond. 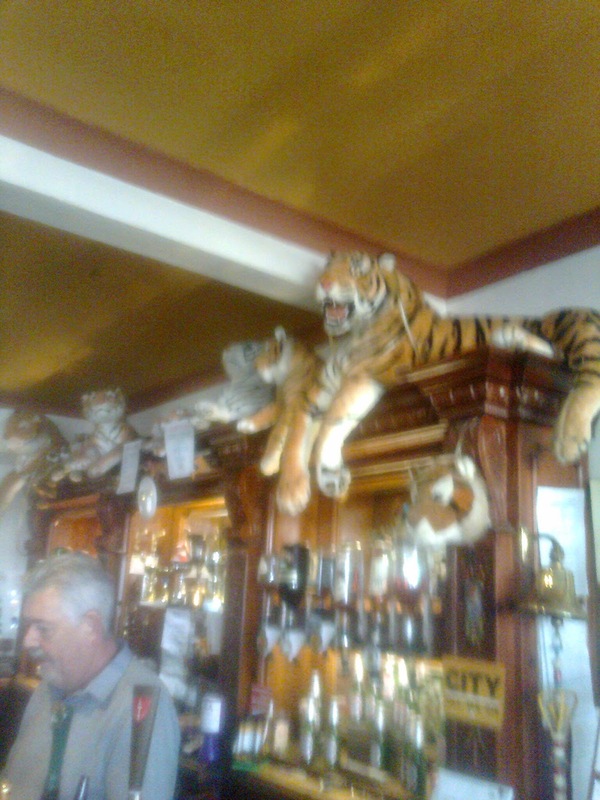 The bar iz stuffed with live tigers shud anyone start workin' their ticket!---Again the locals were friendly and the manager and hiz wife welcomed us to try their selection of reeel ales! 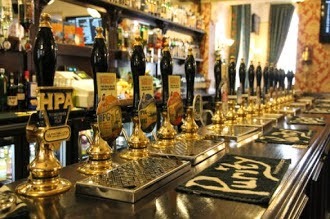 This bar iz tucked up a hill within a 5 minute waalk of Birmingham New Street rail station. An old style bar that seems to be gannin oot of existence these days, 'The Welly' iz immaculately clean and the beer iz 'immaculately caad'! The 'Dive Bar' of the year award! 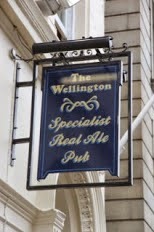 There waz ne competition in this category az the bar in question 'waz in a leegue of it's own'! (AND STUCK!) 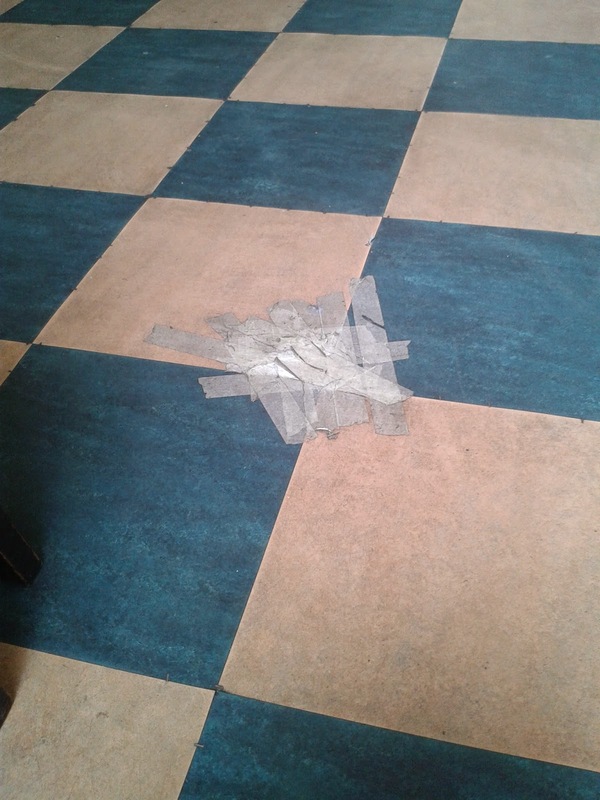 TO THE FLOOR TO STOP ANYBODY NICKIN' THEM! 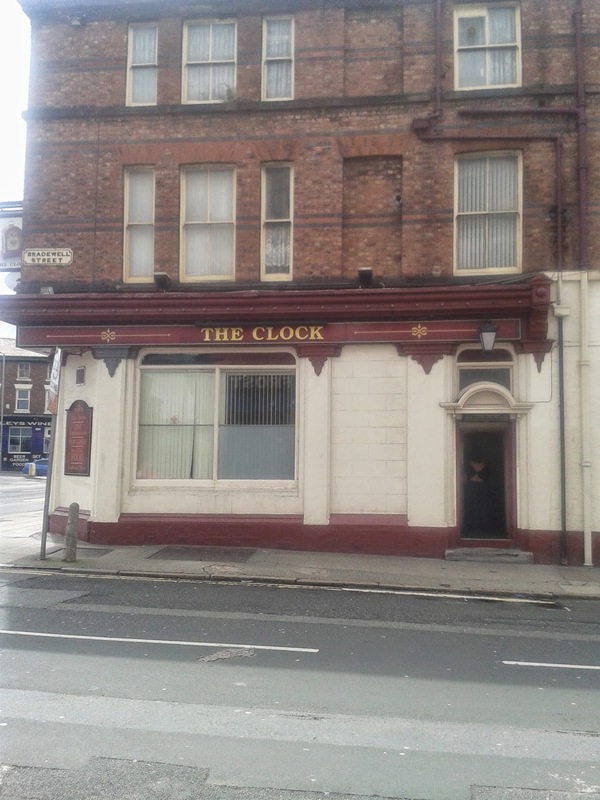 Situated on a main road equidistant from both Goodison and Anfield (15 minutes) this 'dive' takes some beatin' and it iz highly recommended that yoo wear a 'stab-proof vest' if yoo change anythin' ower a fiver at the coontaa! ENTRANCE TO THE 'SELECT' LOUNGE AREA OF THE BAR! ﻿The locals are friendly enough <(IF yoo divvint look at them the 'wrang way'!) and yoo would have thought we had horns stickin' oot of wor heeds when we entered the bar az it fell deftly silent! 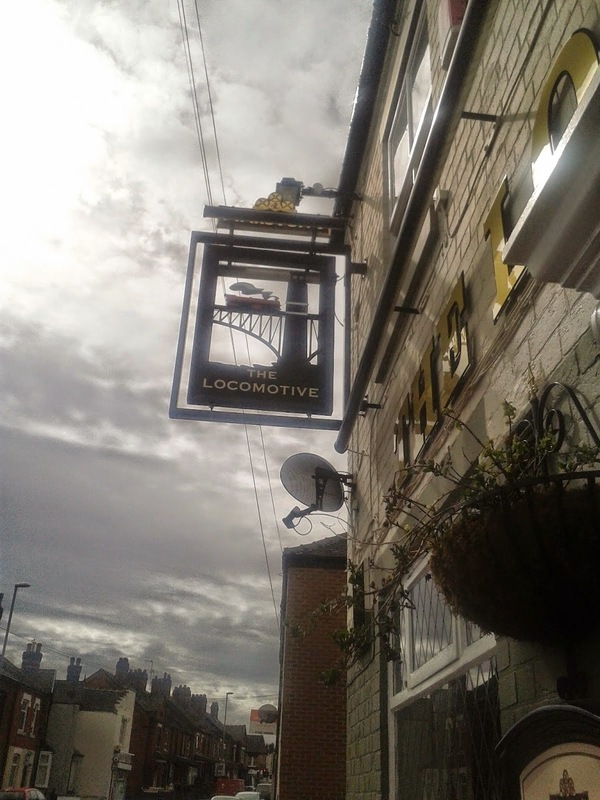 Friendly signs for customers tell yoo that 'Tommy Smith' is barred' <(we assume it's NOT hardman Tommy Smith who used to play for 'The Liverbirds'?) 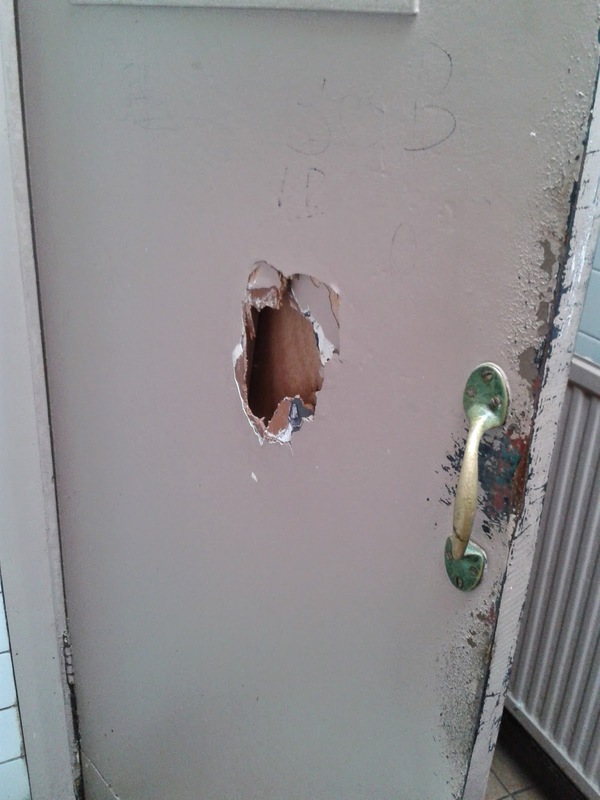 and the 'polite' sign in the stench filled 'tool-shed' for one of their 'regular customers' iz a GEM! THE GEORDIE TIMES AWAY PUB OF THE YEAR AWARDS 2013-2014! *** WINNERS TO BE ANNOONCED ON SATURDAY! "WE HAVE SOME JOYOUS NEWS TO TELL YOU!" THE WORLD CUP ON HIS BIRTHDAY!" "Fink!" "Is it OK if we kick the Brazil World Cup off on your birthday?" Personally aa cannit wait til '2 bells' on Sunday mornin' when the Ivory Coast play Japan! <"YAHOOOO!" "SSSHHH!!!" *** "JACK'S THE LAD!" 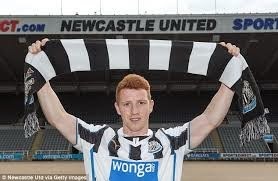 At last we have signed Killingworth born central midfielder Jack Colback from the SMBs on a FREE transfor! 'Ginger Jack' infamously shushed the Toon crowd last season when he scored the 3rd goal for the mackems in the Tyne/weardo derby @ St James' Park, just 3 months ago, when he put hiz index finger to hiz lips az he ran towards the Toon fans! He says he hopes the SMBs understand hiz reason for comin' to a big club!----me 'finks' they won't somehow and THAT will definitely gan against him when he retorns to the Stadium of SSshhh! (yee naa wot?!!!) in a black n white striped shirt!!! GEORDIE TIMES QUIZ ANSWER! *** "500 DAYS AND COONTIN'!" Question: "Who waz the last forst team player that NUFC signed for cash!?" Answer: "MASSADIO HAIDARA on 25th January 2013!" "That's 500 DAYS AGO TODAY!" Therefore!---we still await a signin' for cash who will gan straight into the forst team!---"500 days and coontin'!" On Thorsday 'The Geordie Times' said that it would be "highly unlikely!" that we would sign a player for cash before next Monday! NUFC obviously hord us and sprung into action by signin' striker Ayoze Perez from Spanish side Tenerife and a fee of £1.5 million <("wow!") haz been mentioned. Born in the Tenerife capital of Santa Cruz, 20 year old Perez plied hiz trade in the Spanish second division and scored 16 times in 34 games last season! "I am very happy to be here to start a new adventure! I'm very eager for it to begin and I am very pleased to play for this magnificent club! 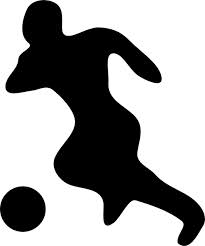 Any football player would be interested in playing for such a club and I will earn my position to get into the first team!" "JACK'S THE LAD!?" *** £000,000,000! A 5 year deal haz been mentioned and we at 'The Geordie Times' have ne problem with an SMB switchin' from weardoside to Tyneside! 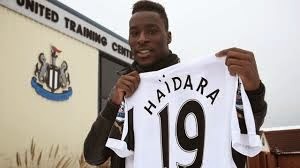 GEORDIE TIMES QUIZ *** HOW MANY DAYS IZ IT SINCE WE LAST SIGNED A PLAYER FOR CASH!? "How many days will it be next Monday, since NUFC last signed a forst team player for cash and wot iz hiz name!???" The answer will appear here sometime next Monday afternoon! Take a guess?---'Fink' aboot it!? ?---divvint 'Google it'!?? ?---NE cheeetin'!???? GEORDIE TIMES QUIZ *** "DID YOO SPOT WOR DILLIBERATTE MISSTAYK(S)!?" "How many teams have won a major domestic trophy since NUFC last won one!?" We gave a list of 34 teams who had done so and said that Sporz had last won a trophy in 1991, which waz the FA Cup! This waz a cunning missteak on wor part az Sporz last won a trophy just 5 years "Er!" --6 years! ago in 2008, which waz the Leegue Cup! AALSO!--- we missed 'Ne Where Near' Bolton Wanders FA Cup win in 1958---so the total iz in fact 35! and NOT 34!--- the correction(s) are listed below! He aalso wins a 'Geordie Times' tee shirt, to wear in New Zealand (XXL--small 'marquee tent' size!) 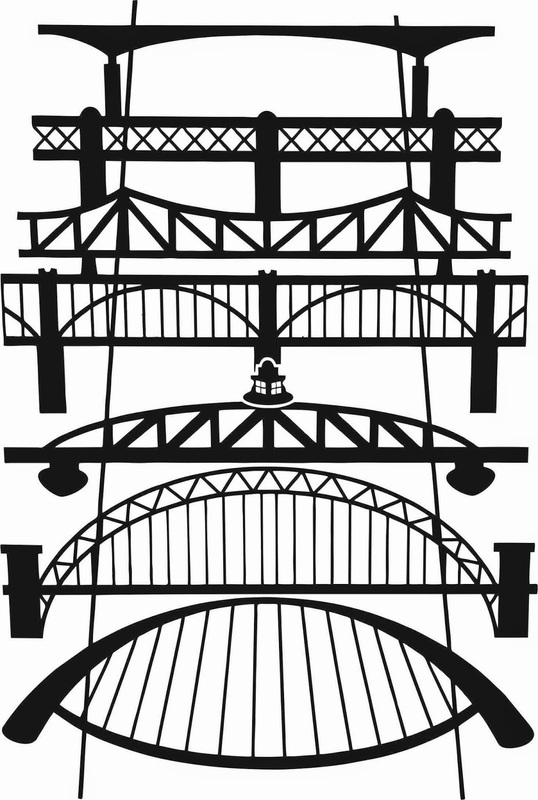 complete with wor 7 Tyne Bridge logos on the front (see above pic) and www.geordietimes.com on the back! 34 OR! 35 *** ANOTHAA GROVELLIN' APOLOGY FROM 'THE GEORDIE TIMES'! In 'The Geordie Times' 'Trophy Quiz' we asked yoo just how many different teams had won a major domestic trophy since NUFC last won one in 1955! We can anly apologise once again and the corrected answer iz listed below! SINCE WE LAST WON A TROPHY 'STATS' *** QUIZ ANSWER! SOMEWHERE DOON 'THE BIGG MARKET'! "How many different teams have won a major domestic trophy since NUFC last won one?" 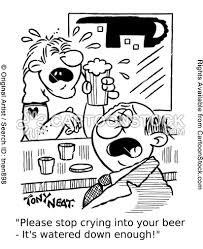 "It makes yoo want to cry in your beer!" 36 The Toon *** FA CUP *** 1955! IF? 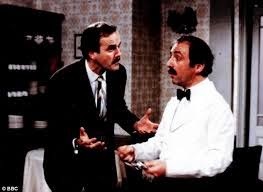 we have made any missteaks or left anyone oot---we can anly apologize! This iz the forst time in the history of the world that we have broken the '1,000 barrier'! Not anly that!---But the total pageviews for May totalled 6,708 which iz 2,000 more than the previous best in April 2013!